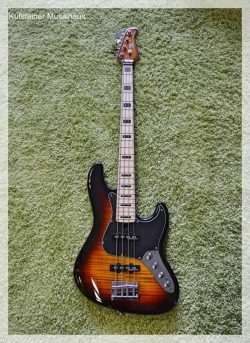 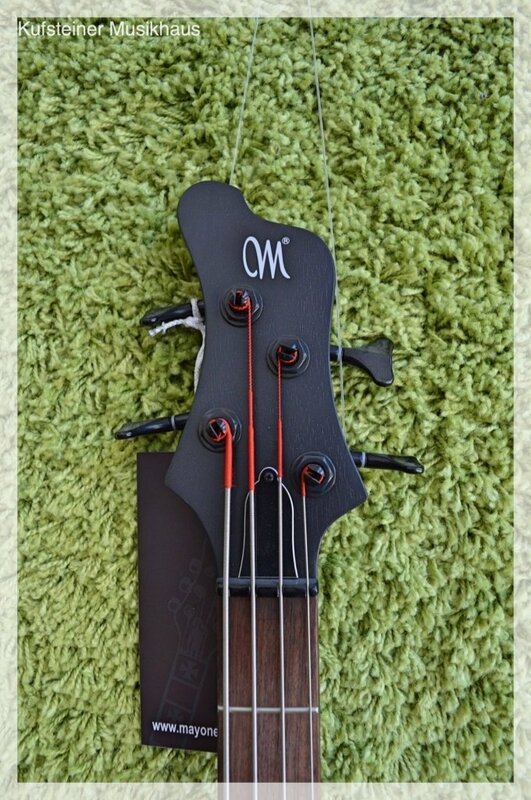 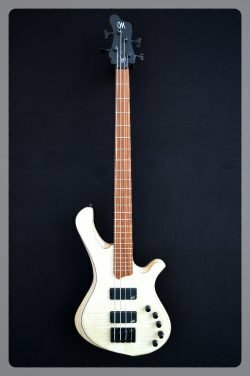 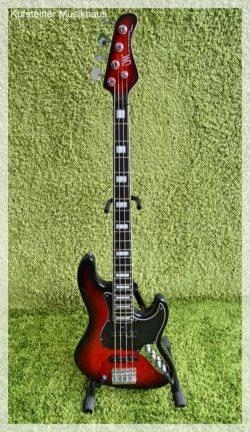 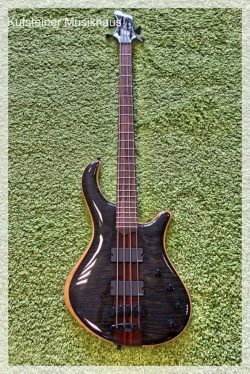 Be Exotic bass features bolt-on construction, 5 pieces Mahogany-Maple comfortable neck, Amazakoe flat top body in Gothic Finish. 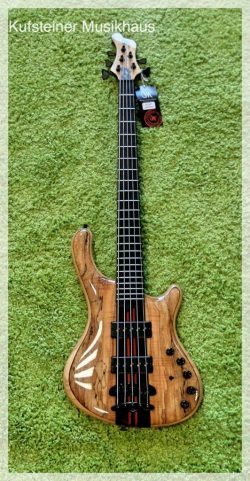 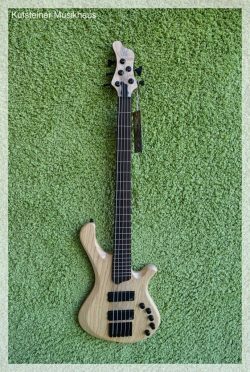 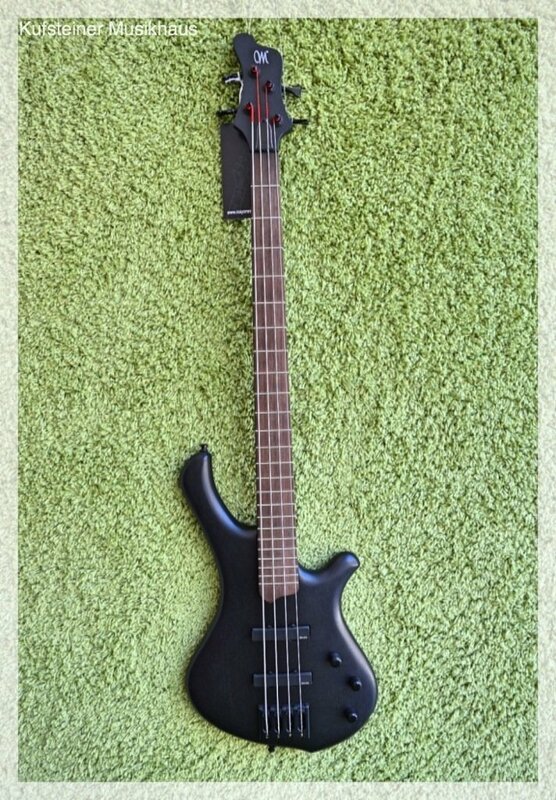 Equipped with Bartolini pickups and 3 band Mayo GP-BP3 bass preamp. 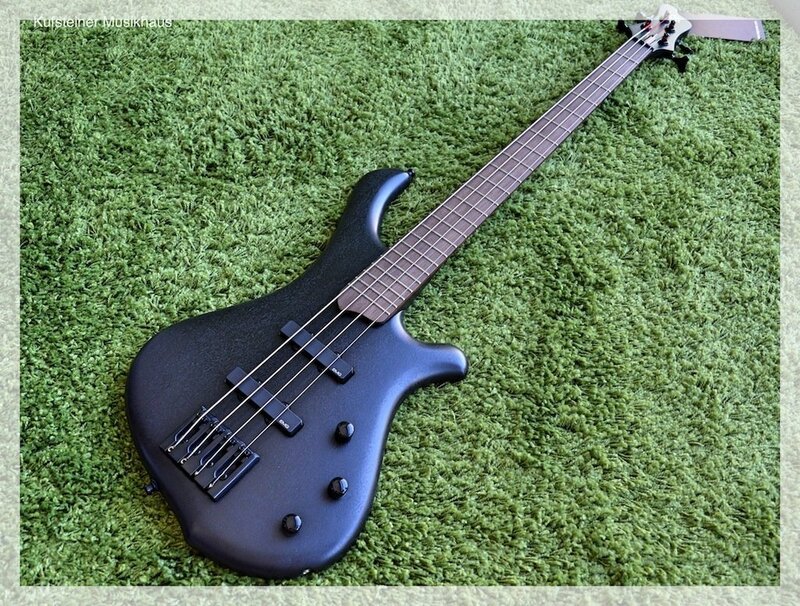 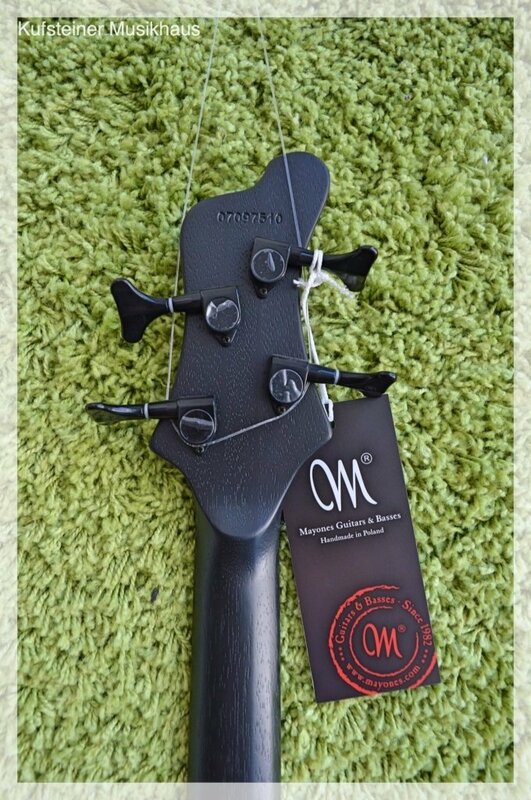 Available as 4 and 5 string instrument, fretted or fretless.